Update: Sadly Table 24 closed it doors for good on Saturday 24 May 2014. We recently had a guest come and visit us in Singapore and wanted to find a place where we could have some great food, chat and basically not be fussed over. It also had to be Gluten and Dairy Free as well as Seafood only. Yup; our special guest had unique dietary requirements. After putting the question out onto Twitter, fellow Tweep @singfoodie came up with a Gem; Table 24 (BIG shout out to VM). Table 24 impressed from the beginning. I enquired about the dietary requirements over email and their team member Florence was quick to reply with a sample menu! I liked how they took the time to consider the request. There was no hesitation; I had to book this place. Table 24 is really easy to find; nestled in Temple Street, in Chinatown. It is very distinguishable with it's unique outdoor decor. Inside it is a narrow but comfortable space. 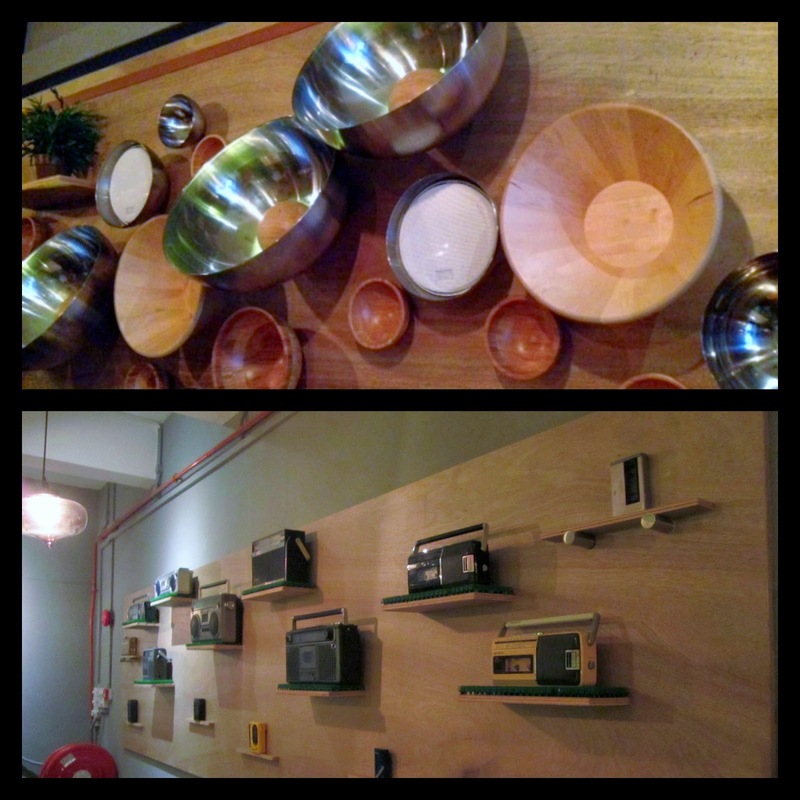 I must admit the interior decorating was pretty quirky with a collection of Bowls hanging off one wall and retro Cassette Players/Walkmans on the other. Now onto the food, food, glorious food! You can choose to have 3 courses or 4courses. Each course is clearly labelled on the menu. All you have to do is choose one dish from each column. The 3 course is Starter, Main and Dessert. The 4 course you get to choose a total of 2 mains to make up the number. The 3 course meal was $45++ for dinner. The 4 course was $55++. 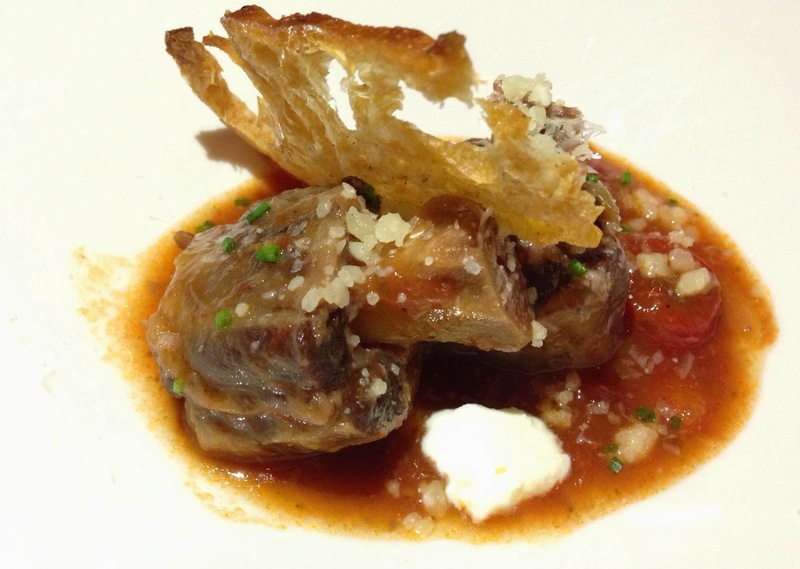 For our starters we had the shucked Oysters and Braised Ox Tail. 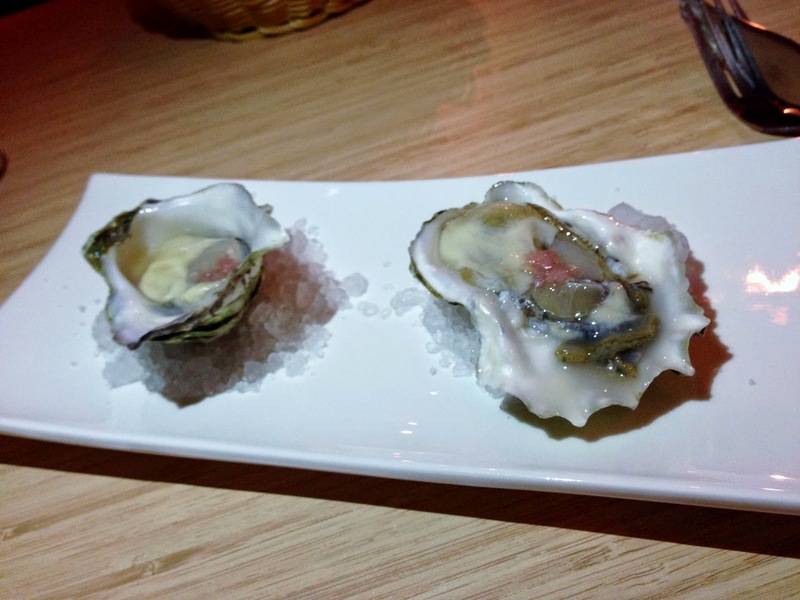 The Oysters were very fresh and plump. They got the thumbs up and were gobbled up very quickly. The Ox Tail was cooked perfectly; falling off the bone, and melt in your mouth. The Tomato broth was also very mild and gave a nice acidity. Next up were the mains. We had the New Zealand Salmon (woohoo, national pride) and the Crab Cake. The waitress recommended that the Salmon be cooked medium rare. The Skin was crispy and the outside was browned nicely. We were very surprised to find that although it was crispy on the outside, the Salmon was cooked perfectly medium rare on the inside. It was fresh and seasoned well. It came on a bed of puréed peas with Potatoes, Quinoa and Pomegranate. A very interesting but flavourful combination. The Crab Cake was very tasty. There was generous amounts of Crab Meat in the Cake and you got a hearty serving of Crab in each bite. 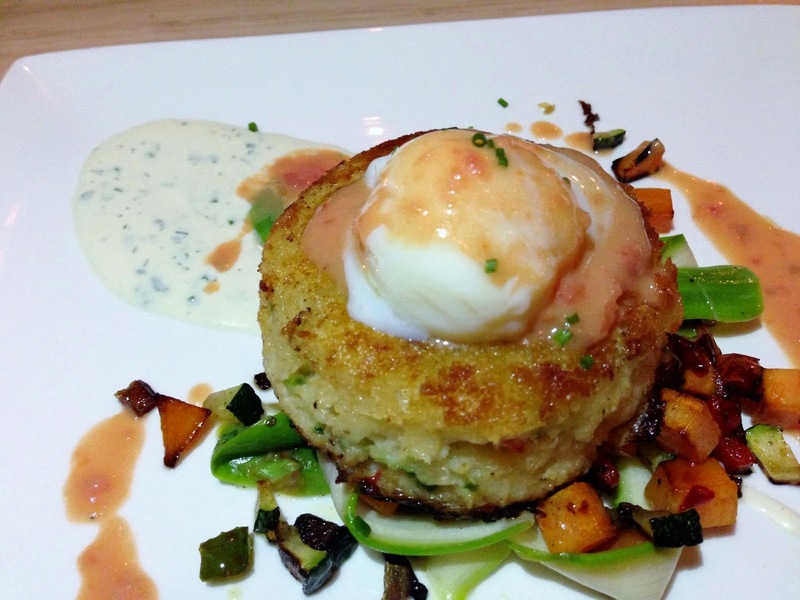 Nestled on top of the Crab Cake is a perfectly cooked 64° Egg. It was so good to break the Yolk and let it run over the Crab Cake; bliss. This was served with seasonal Vegetables. The Starters and Mains had so far set the the bar very high; so there was a lot of anticipation coming up to Desserts. For Desserts we chose the Cheese Board and S'mores. Table 24 were most accommodating towards the dietary requirements of our guest and Chef made a Roasted Strawberries Dessert for her. This was a very nice gesture. The Cheese board was very generous. There were 3 Cheeses; Ricotta, Blue and Cheddar. This was served with Crackers, Fruit Jam and Sugared Almonds. The Cheeses were very nice indeed. The Blue was a fave. 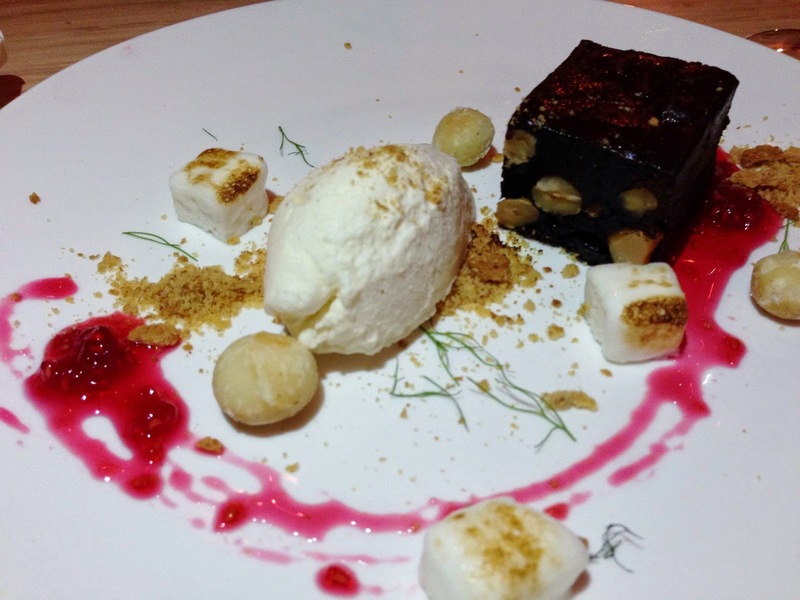 The S'mores is like a tasting Dessert dish. There were roasted Marshmallows, a Chocolate Ganache and Ice Cream. This was a good showcase for the Chef and wasn't sickly sweet. Very enjoyable indeed. 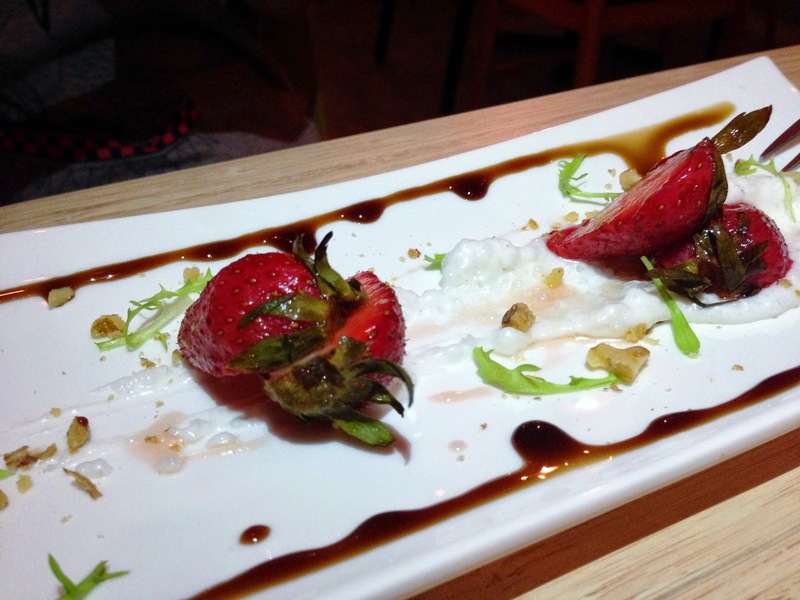 The Roasted Strawberries was a pretty ordinary dish but the Berries were fresh and were garnished with a Coconut Rice. The staff were great at Table 24, very attentive and not intrusive at all. Empty Water Glasses were quickly topped up and they always wore a smile :) Great work here, I hope they keep it up. Table 24 is a great little chill out spot with a great team running it and some very tasty food. They also have a Lunch Menu which would be great to try one day. 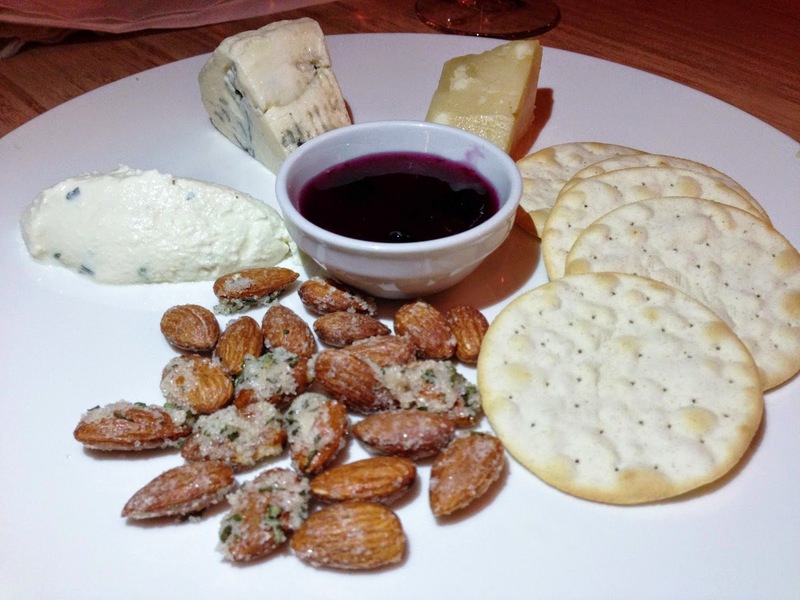 With a Menu that does change periodically, Table 24 is a place I would definitely try again. It is like going on a food adventure with simple unpretentious food that is presented nicely. Did I mention it is also very very yummy? We can't wait for my next outing at Table 24. 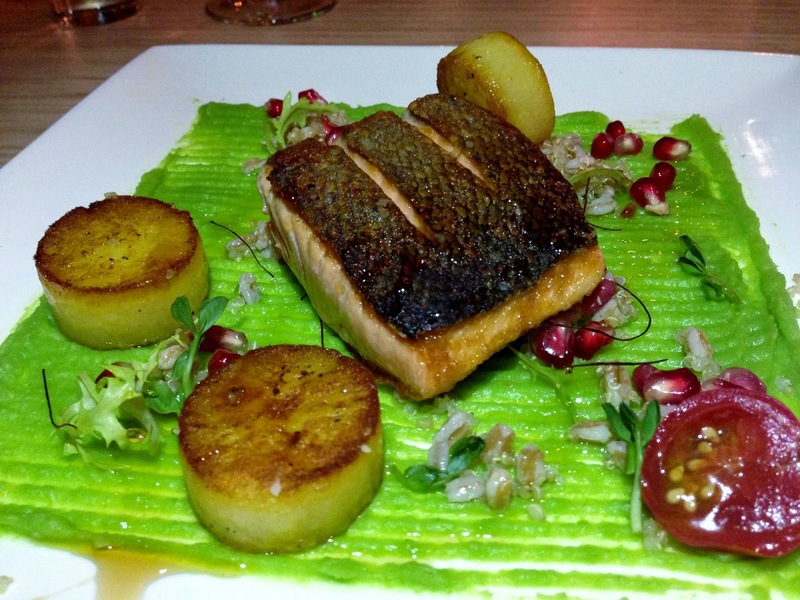 Have you tried Table 24 yet? What's your fave Restaurant in Singapore/Asia?